The lathe is so fundamental and ubiquitous that it's hard to imagine a modern shop without one. It got that way simply because it's so basic. While it may not seem that way through all of the wiring and gears behind a modern CNC lathe, but in principal the lathe is still the most simple and straightforward of all machine tools. 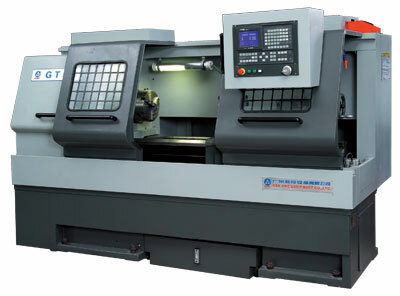 This straightforwardness, though, lends it a unique versatility, and in fact the lathe is the only machine which can fully build itself. Well, you might have to help a little bit. 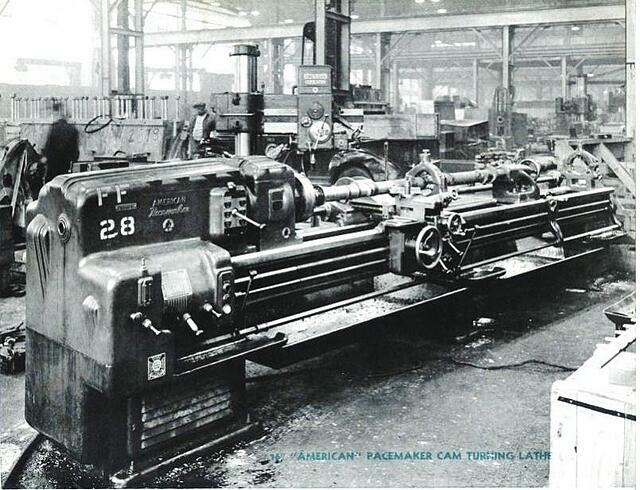 So, being so basic, it's no surprise that the lathe was the first machine tool invented. But just how far back was that? The industrial revolution? The renaissance? Even hundreds of years back from that? The first lathe was invented over three thousand years ago in 1300BCE in ancient Egypt. It was one of the first recorded machines created by mankind, and like any early machine it was astoundingly simple. The device used a simple strap to spin the rig, and it required the a second opperator to do that spinning. This simple machine spread far and wide through the ancient world, most notably through Assyria and Greece, popular for much the same reason as the modern lathe. The Romans continued to innovate, with the addition of a turning bow, a tool which allowed the user of the lathe to do the turning themselves, though this did come at the cost of power and precision when compared to the two person strap variety. As time marched on, so too did the lathe. Rome fell and Europe was split, and from these feudal kingdoms sprang the next major innovation in lathe technology: the pole lathe. While not much more complex, this new lathe was powered by a pedal, freeing up the worker's hands. This variety of lathe, or variants thereupon, were such a useful piece of technology that they saw regular use up into the early 20th century. And the pre-industrial innovations didn't stop there, as the swift current of progress was never keen on letting the lathe fall behind. 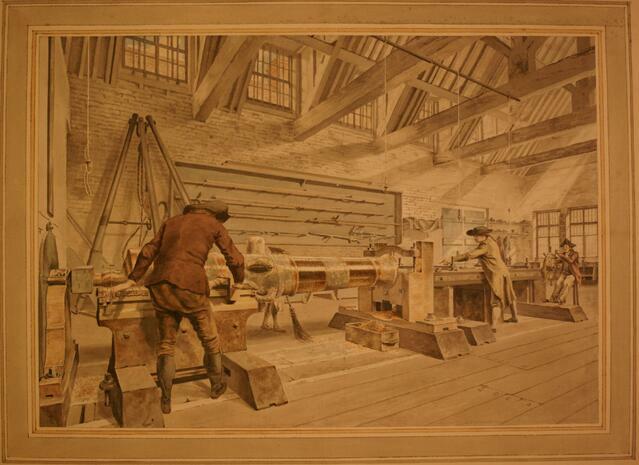 In the 1700s, England developed a lathe powered by horses, which allowed them to manufacture high quality canons for the Revolutionary War. For all these innovations though, these lathes were limited. However, none could be too complex, too large, too powerful, as a man(or a horse) can only provide so much power. In the 1800s, the industrial revolution began, bringing the steam engine along with it,. Only after the invention of the steam engine did we see what could truly be considered a "modern" lathe. The modernized lathe couldn't come soon enough either, as the revolution also brought along with it a massive increase in production of trains, automobiles, and ships, as well as a variety of other machining tools, all of which required the use of a lathe to produce. 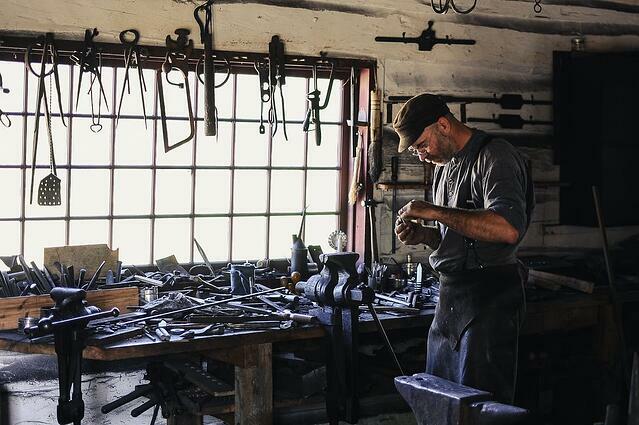 The new lathes were exponentially more powerful, versatile, and efficient, and this made them one of the cornerstones of the industrial revolution. These tools were not entirely different from the manual lathes you may still find in shops to this very day. That said, this was hardly the end of innovation for the ever changing lathe, and major changes were still right around the corner. Just as innovation in the 19th century was driven by steam and industrialization, the late 20th and 21st centuries have been defined by the advancement in computer technology, and the industrial arena is no exception. In the 1950s, the CNC lathe was created, a technology which allowed machinists to pre-program specifications, making the first completely hands off lathe. While they still aren't a replacement for human hands in every job, CNC lathes have become so useful that they now vastly outnumber their manual counterparts in your average workshop. Over the years, the lathe has gone from needing 2 operators to none, but throughout it all this marvelous machine has been propelled by the same basic technology invented at the dawn of civilization. If you want to learn more about the modern lathe you can read more about the technology behind CNC lathes, or learn about common problems to search for buying a used CNC lathe. While we don't have anything powered by a foot pump, if you're interested in buying a used CNC lathe, MMI has a vast selection available for purchase.